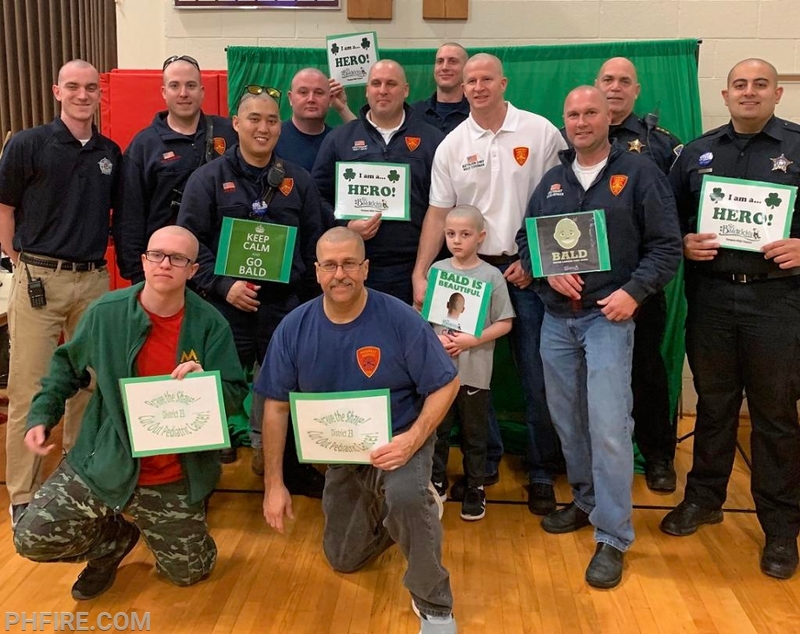 Awesome showing by The Prospect Heights Fire Department & Police Department for the 2019 St. Baldricks' event held at McCarthur Middle School. The Fire Department had 8 guys shave their heads for a great cause (3 on-duty guys, and 5 off-duty guys). The Prospect Heights Fire Department & Prospect Heights Police Department made a check out to the foundation for $500.00. The event raised over $18,000 dollars collectively. The event was a very humbling experience and it was awesome to see the guys step up on-duty and off-duty to help make this a success!! !